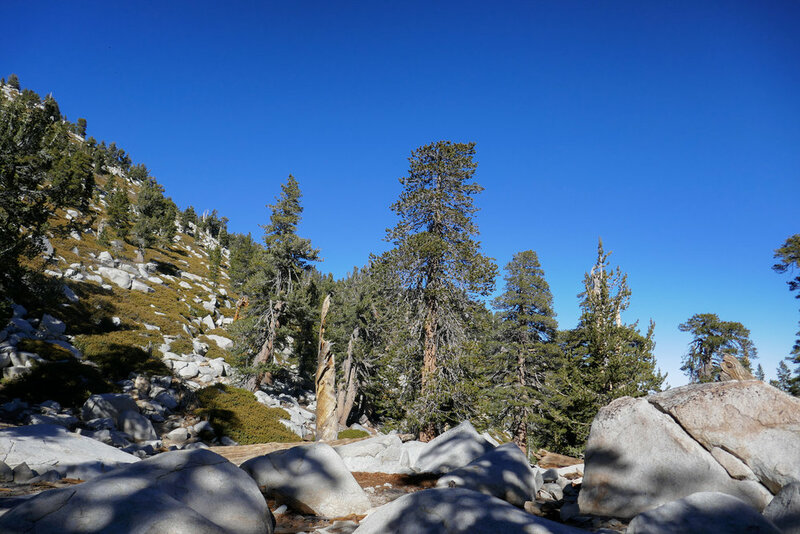 Hiking to the peak of Mount San Jacinto via the Palm Springs Aerial Tramway was an adventure! We drove from Pasadena to Valley Station and arrived just before 6:30 am. The ticket counter doesn’t actually open until 7:30, but we wanted to make sure we got our tickets for the 8 am tram up to Mountain Station where we would begin our 11.5 mile hike. 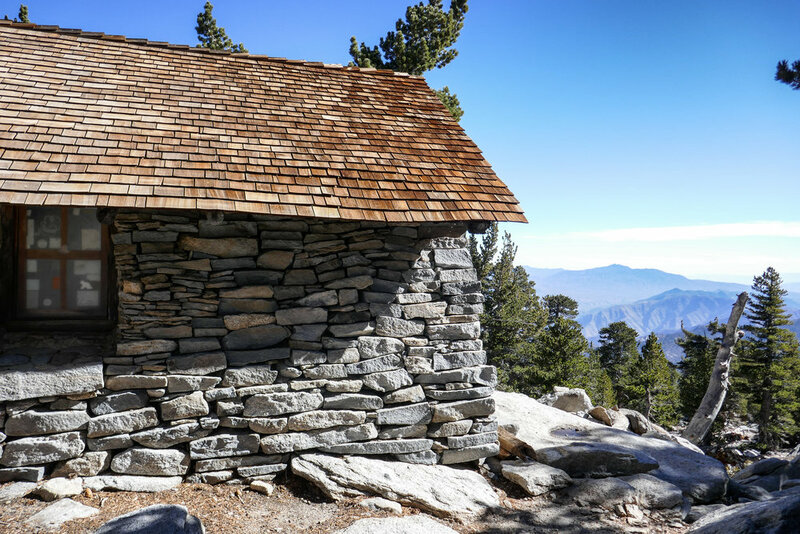 Mount San Jacinto is the second highest peak in Southern California standing at a towering 10,834’ above sea level. 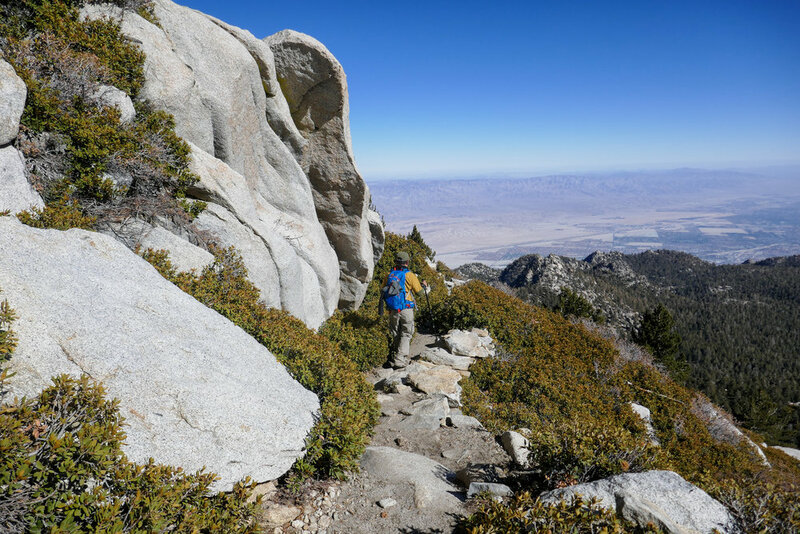 The tram takes you up from the Sonoran desert to the alpine zone so you’re already starting your hike at 8,516’. 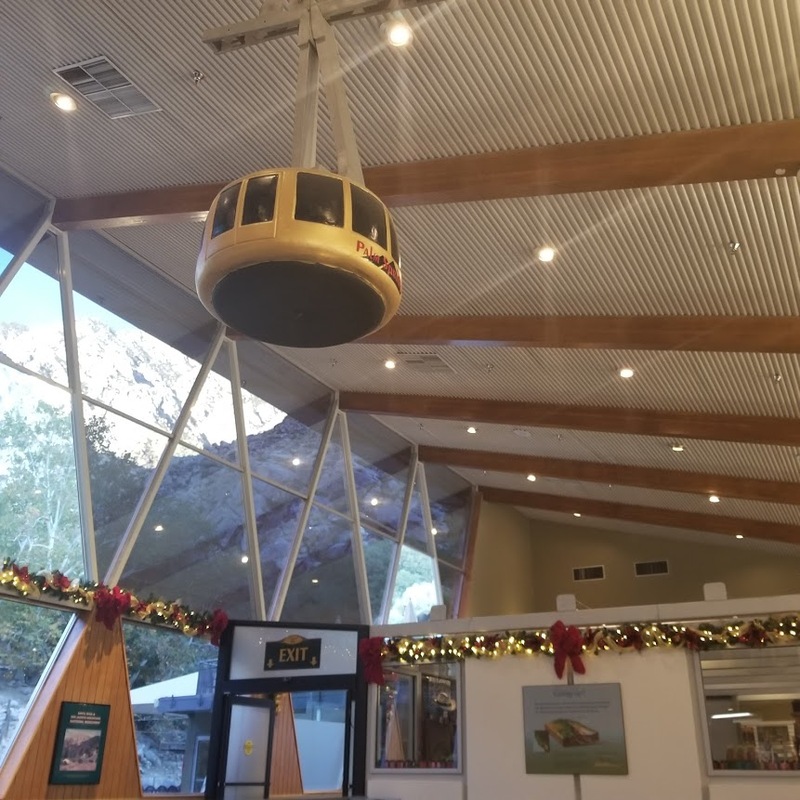 The tram was an adventure unto itself. It seemed more like we were at Disneyland then about to summit a mountain. It’s a pretty awesome experience even if you aren’t hiking. At Mountain Station there are shops, restaurants and other activities, but we made a bee-line for the back stairs and ran out the door to get our hiking permits at the Long Valley Ranger Station. Once that was out of the way we were off into the wilderness. The first section of trail winds through a beautiful, shaded forest. 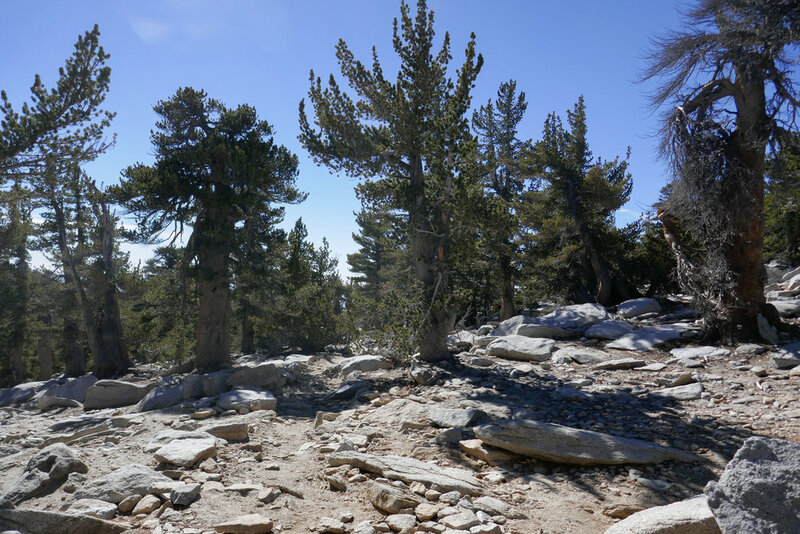 The trail is graded fairly easy here and the pine trees and boulder formations are stunning. 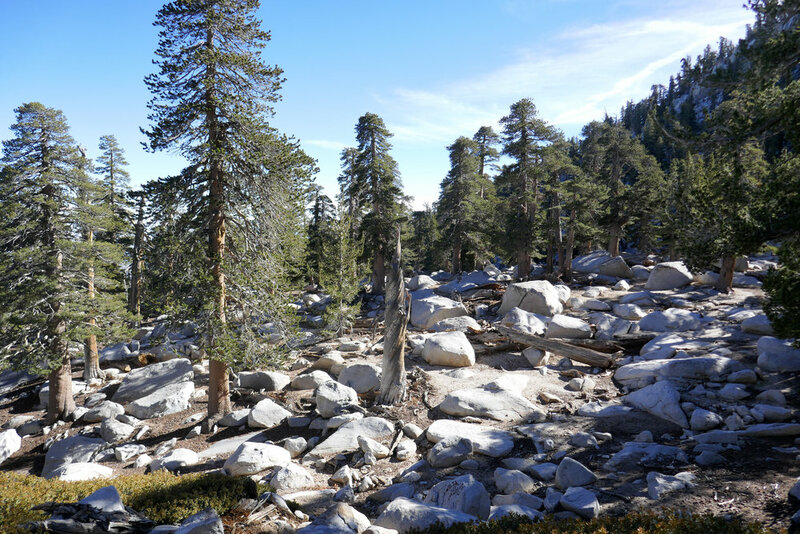 Soon we reached Round Valley where there are campgrounds, primitive bathrooms and a water source. 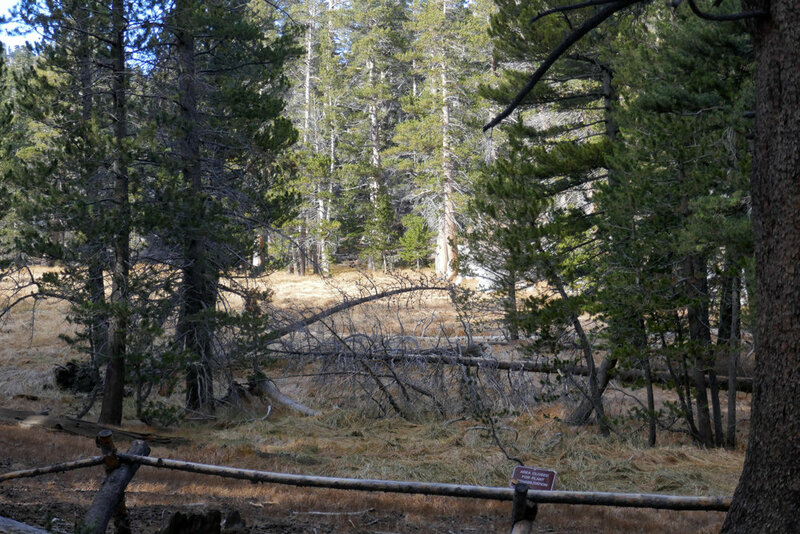 There’s also a beautiful meadow just beyond the great pines. 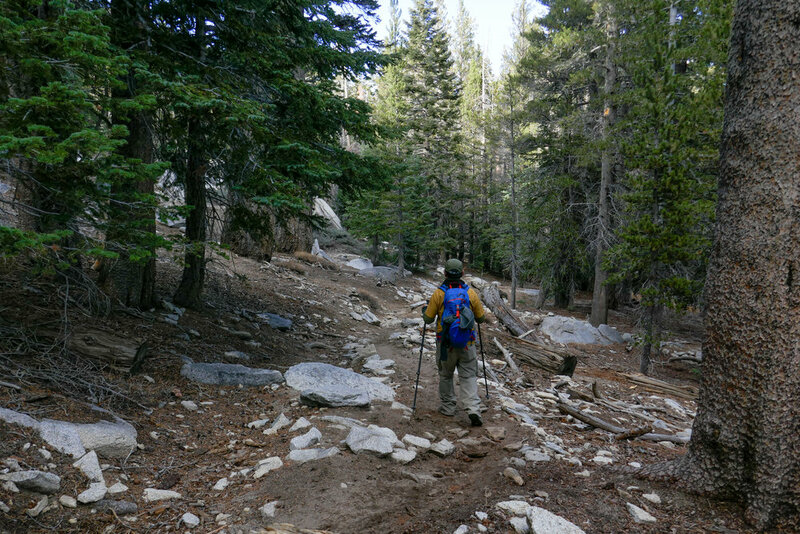 After passing through the campground, the trail began to steepen. 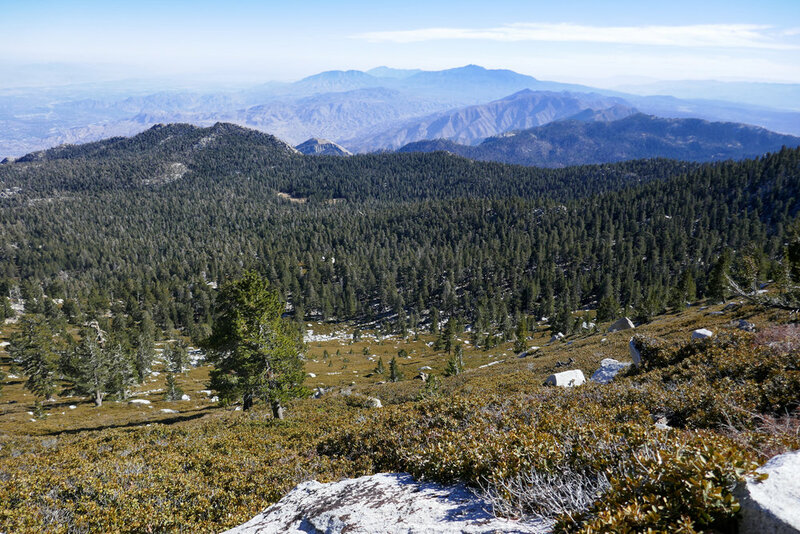 After some moderate climbing, we arrived at Wellman’s Divide, a ridge with nice views of the San Jacinto Wilderness. We were now at at 9,700’. 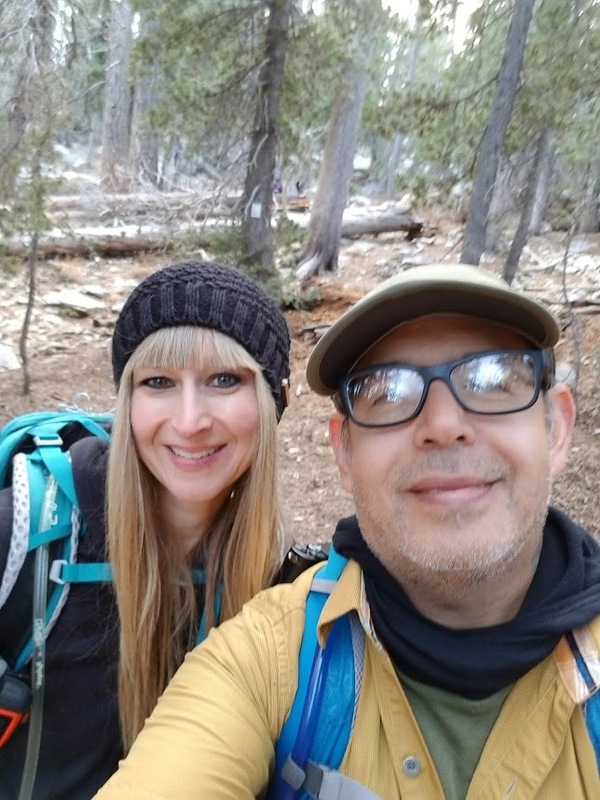 We took a little break here to refuel with a snack and chatted with two solo hikers. One of them was a professor at Art Center and the other was James, who was 75 years old! I asked James how many times he’d summited this mountain and he said after the 15th time he’d stop counting! Amazing! 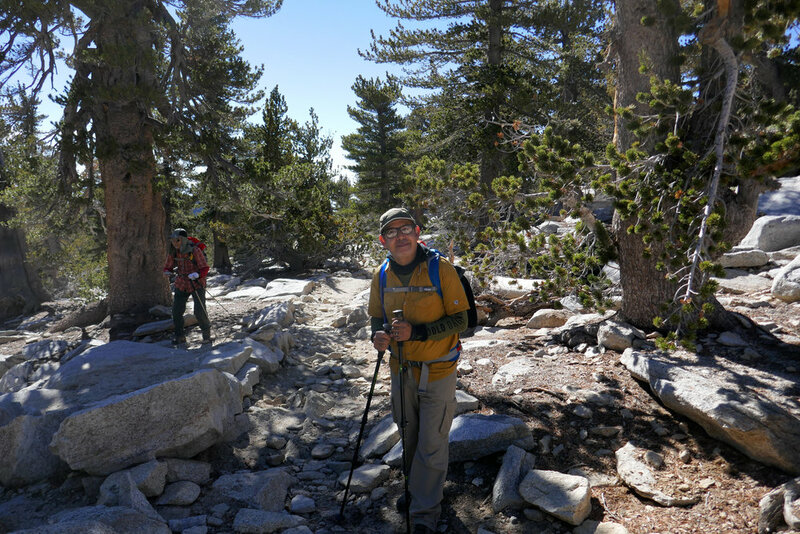 After the break, we parted ways and began the next segment of trail up to the peak. From here we climbed upward on what seemed to be an endless switchback. The altitude was slowing me down considerably, and I could feel my heart beating fast. It was a tough climb! 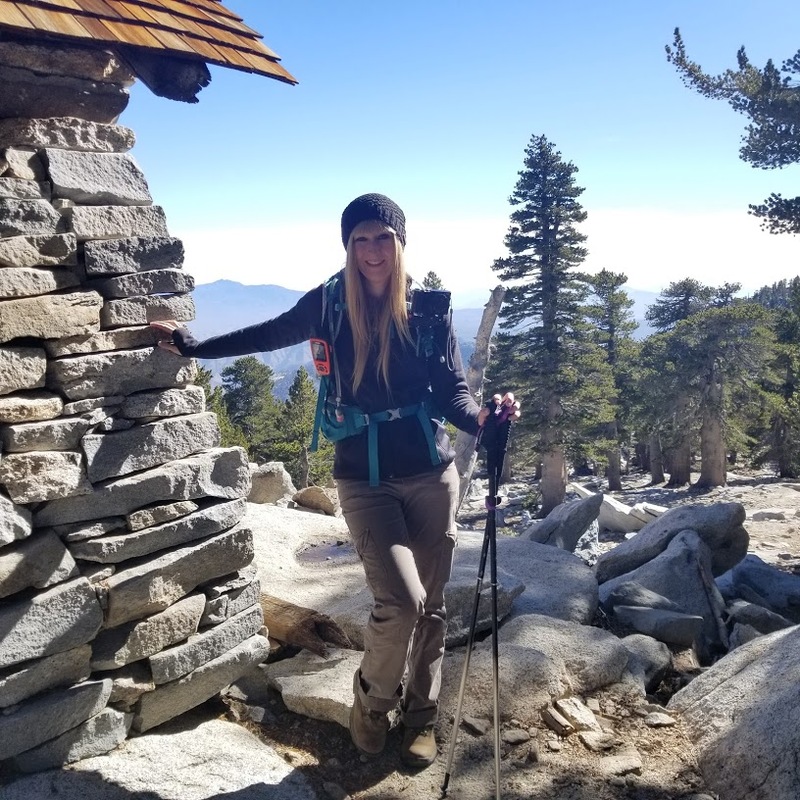 One thing I’ve learned from speaking to experienced hikers is to take things slow and steady. Even though I was probably moving at a glacial pace, I pushed on. We arrived at the next junction that pointed the way to the peak. Just .3 miles left to go. Soon we passed by the emergency shelter just below the peak. Almost there! 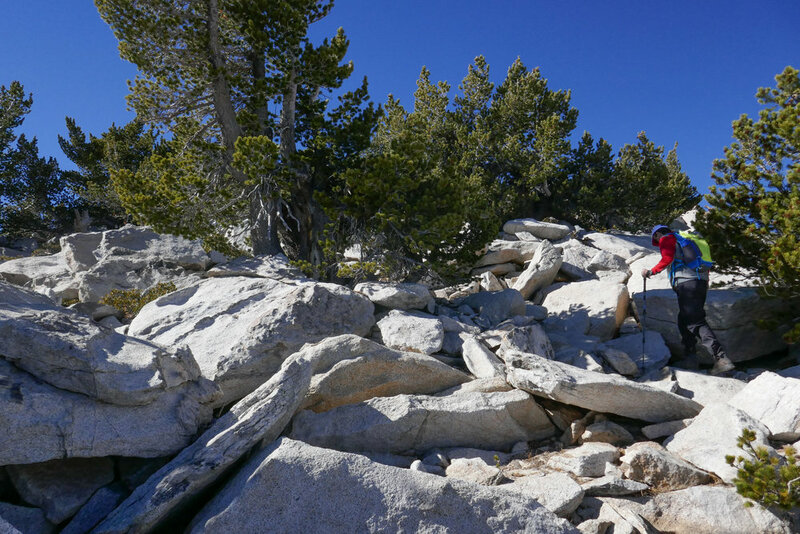 Now the trail headed us straight into an enormous pile of boulders that would take us to the top. From here on out we were on our own to figure out a way up. I started climbing, but I wasn’t really sure which was the best route, so I stopped to watch where other hikers were going. Then I saw James heading up the rocks behind me. James knew exactly where to go. He pointed me in the right direction and helped guide me up the boulders. With my husband following right behind me, I could see the summit sign! In just a short scramble, we were at the top! Mission accomplished! 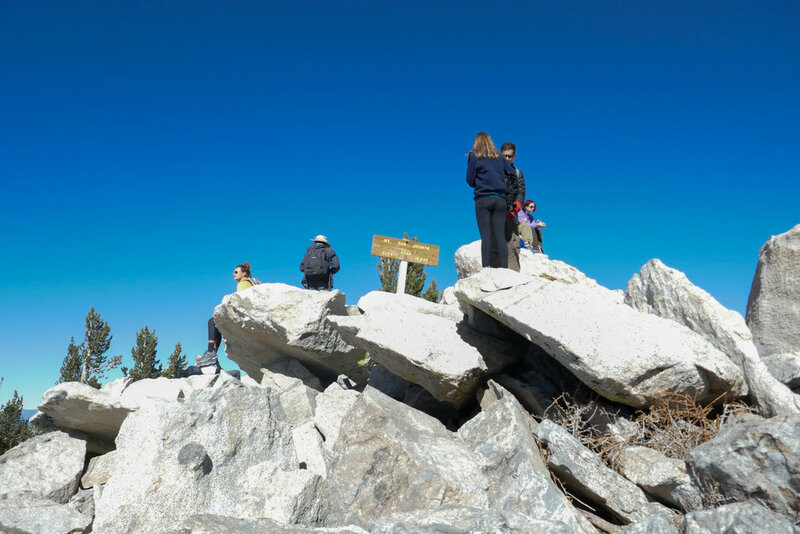 We snapped our summit selfies and found a spot on the rocks to have some well earned lunch. We met up with the professor once again and of course my new mountaineer friend, James. It was a great feeling to be up on that mountain, but we knew we had to start heading back down soon to allow enough time to return before sunset. We bid farewell to our friends and all agreed that perhaps we’d meet again some day on some other mountain. On the way down, we took our time and I was able to get some great photos. 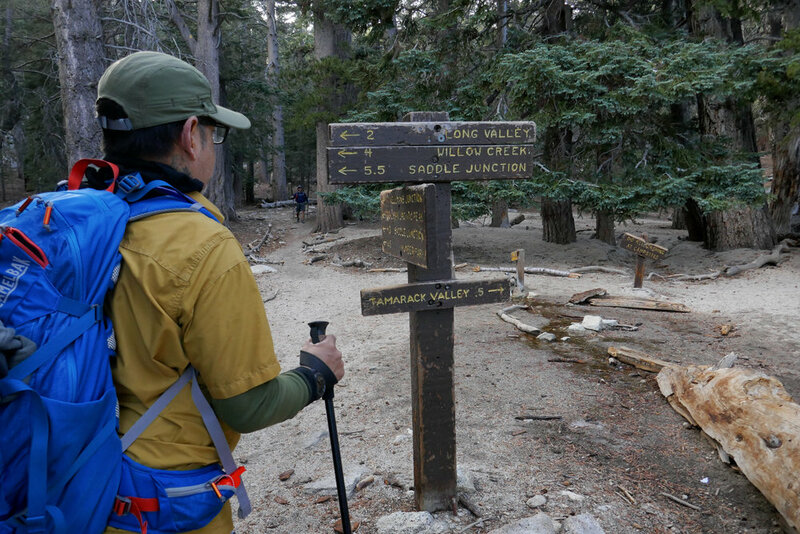 We arrived back at the Long Valley Ranger Station at about 3:30 pm. We headed up the steep ramp to the tram station which now seemed harder then the climb to the peak! Both of us were tired and a bit sore, but it was an incredible experience! 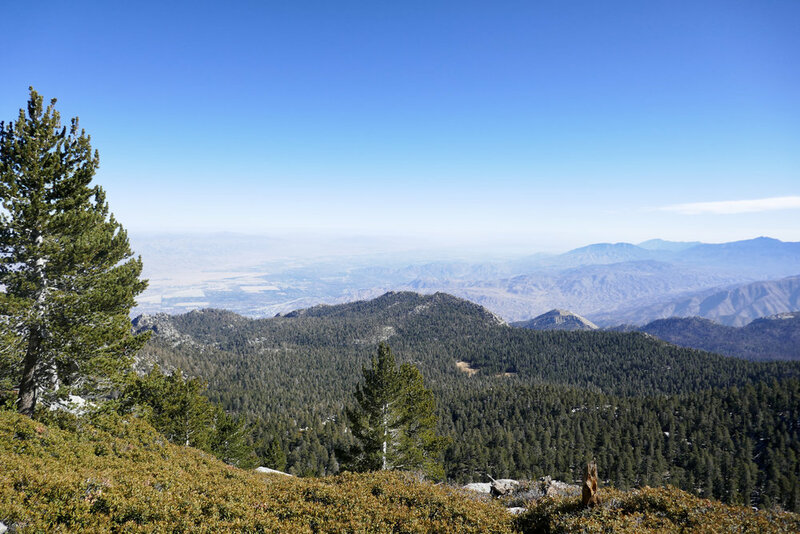 View from the top of Mount San Jacinto. People hanging out at the summit sign getting their pictures. The views from up there were pretty incredible. After we climbed down the rocks from the peak, I took some photos of other hikers just climbing up. There is no set trail to the peak. You have to figure out the best way up these rocks to get to the top of the mountain. 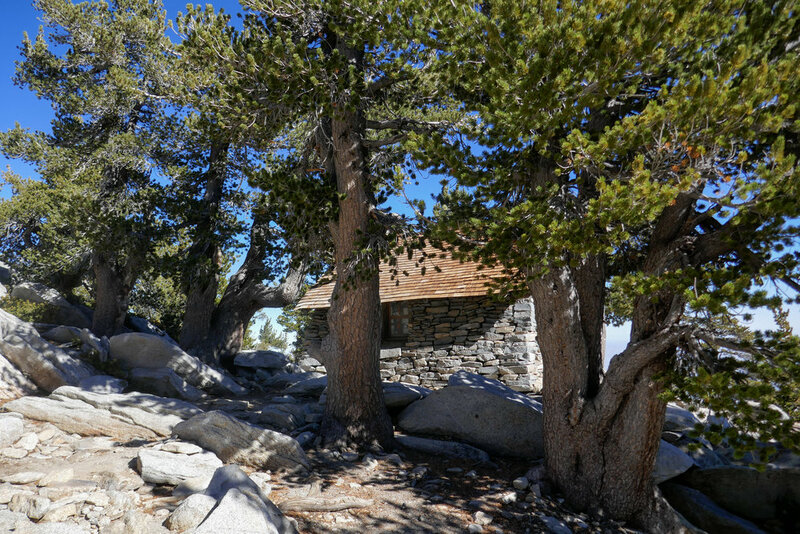 The emergency shelter just below the peak. 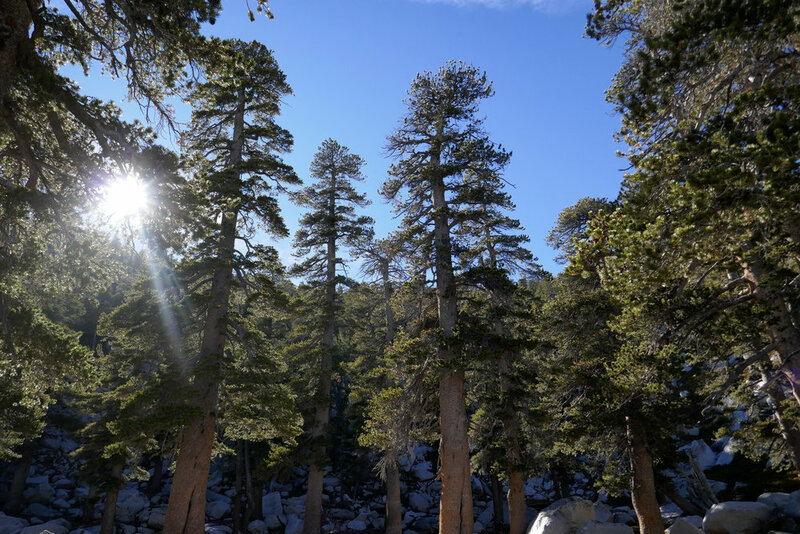 These pines see all kinds of weather. My wonderful husband and in the background, James, a fellow hiker we met along the way. Views as we were climbing back down. Looking back from where we came from. Looking back up at what we'd just climbed. The sun was getting a little lower in the sky, but we still had plenty of time to get back. These signs point you back to the Tramway. Hiking back down through the forest. The water source at Round Valley. There's a meadow here that in the springtime will be green. Some deer walking up the trail heading towards us. Just about back to the ranger station. Don't forget to return your permit. The long walk up the steep ramp to get back to the tramway. It was harder then the whole hike! haha!